Low maintenance, high durability and endless color choices have made engineered quartz a tempting choice for natural stone countertops. 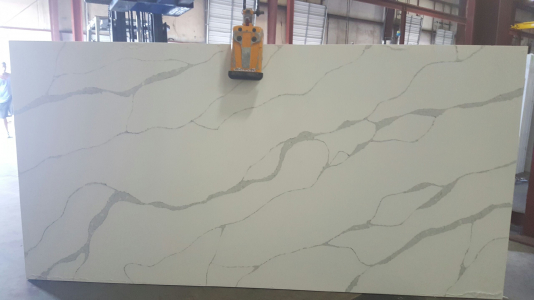 Calacatta Borghini CQ 3CM is an adorably designed quartz. Resins make it more flexible than other natural stones. They are easy to bend and can be carved into any shape. Owing to this characteristic, Calacatta Borghini CQ 3CM slabs are versatile enough to be cut into different sizes by the fabricators. Cosmos Raleigh, NC holds this stone as a premium product in its stock. Homeowners and designers of Raleigh, NC find it as most attractive amongst the rest and they prefer to take these services through Cosmos.